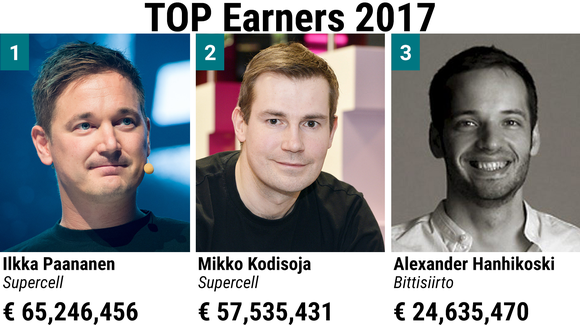 The country’s second-biggest earner was another employee of the Helsinki-based game firm Supercell, creative director Mikko Kodisoja, who pocketed 57,535,431 euros. The list’s dark horse is Alexander Hanhikoski, founder and CEO of Bittisiirto, a company specialising in real-time payments. The thirty-something entrepreneur pulled down 24,635,470 euros, giving him the country's third-highest salary. 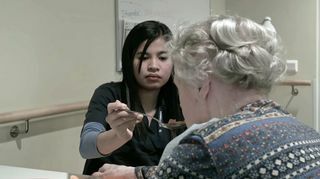 Twelve women made it into the table of top 100 earners, with the highest-earning woman, Ulla Riitta Sjöström, coming in 28th, with 9,086,091 euros mainly in capital income for selling the family’s civilian shelter equipment business. Finland’s top 1000 earners paid 900 million euros in taxes in 2017, according to information released by the Finnish Tax Administration on Thursday. In total, Finnish residents earned some 140 billion euros last year including capital income, profiting the state some 30 billion euros.